Brooks RR (ed.) (1998) Plants That Hyperaccumulate Heavy Metals. New York: CABI. Cherian S and Oliveira MM (2005) Transgenic plants in phytoremediation: Recent advances and new possibilities. Environmental Science and Technology 39(24): 9377 9390. Coyle C, Duggan P, and Godinho M (1999) The development of a phytoremediation technique for the detoxification of soils contaminated with phenolic compounds using horseradish peroxidase (Armoracia rusticana): Preliminary results. International Journal of Phytoremediation 1(2): 189 202. Dec J and Bollag J M (1994) Use of plant material for the decontamination of water polluted with phenols. Biotechnology and Bioengineering 44: 1132 1139. Dhankher O, Rosen B, Shokes J, et al. (2006) Increased arsenic uptake by plants knocked down for an endogenous arsenate reductase. Proceedings of the National Academy of Sciences of the United States of America 103: 5413 5418. Doty SL, Shang TQ, Wilson AM, et al. (2000) Enhanced metabolism of halogenated hydrocarbons in transgenic plants containing mammalian cytochrome P450 2E1. Proceedings of the National Academy of Sciences of the United States of America 97: 6287 6291. French CE, Rosser SJ, Davies GJ, Nicklin S, and Bruce NC (1999) Biodegradation of explosives by transgenic plants expressing pentaerythritol tetranitrate reductase. Nature Biotechnology 17:491 494. Gordon M, Choe N, Duffy J, et al. (1998) Phytoremediation of trichloroethylene with hybrid poplars. Environmental Health Perspectives 106(4): 1001 1004. Hannink N, Rosser SJ, French CE, et al. (2001) Phytodetoxification of TNT by transgenic plants expressing a bacterial nitroreductase. Nature Biotechnology 19: 1168 1172. Hong MS, Farmayan WF, Dortch IJ, etal. 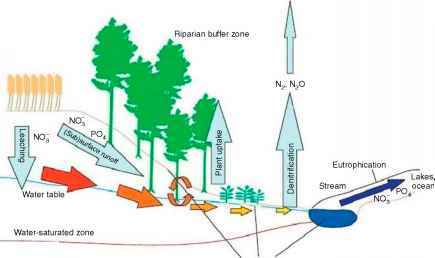 (2001) Phytoremediation of MTBE from a groundwater plume. Environmental Science and Technology 35(6): 1231 1239. McCutcheon SC (1993) Hazardous waste engineering, editorial. Journal of Environmental Engineering 119(5): 769 770. McCutcheon SC and Schnoor JL (eds.) (2003) Phytoremediation: Transformation and Control of Contaminants. New York: Wiley. Meagher RB and Heaton AC (2005) Strategies for the engineered phytoremediation of toxic element pollution: Mercury and arsenic. Journal of Industrial Microbiology and Biotechnology 32: 502 513. Meagher RB, Kim T, Smith AP, and Heaton ACP (2005) Designing plants for the remediation of mercury and arsenic polluted soils and water. In: McKeon T (ed.) Designing Industrial Crops. Washington, DC: ACS Books. Medina VF, Larson SL, Agwaramgbo L, and Perez W (2002) Treatment of munitions in soils using phytoslurries. International Journal of Phytoremediation 4(2): 143 156. Mitsch WJ and J0rgensen SE (2003) Ecological Engineering and Ecosystem Restoration. New York: Wiley. Newman LA, Strand SE, Choe N, et al. (1997) Uptake and biotransformation of trichloroethylene by hybrid poplars. Environmental Science and Technology 31:1062 1067. Newman LA, Wang X, Muiznieks IA, etal. (1999) Remediation of TCE in an artificial aquifer with trees: A controlled field study. Environmental Science and Technology 33(13): 2257 2265. Odum HT and Odum B (2003) Concepts and methods of ecological engineering. Ecological Engineering 20: 339 361. Quinn J, Negri MC, Hinchman RR, Moos LP, and Wozinak JB (2001) Predicting the effect of deep rooted hybrid poplars on the groundwater flow system at a large scale phytoremediation site. International Journal of Phytoremediation 3(1): 41 60. Rugh CL, Wilde HD, Stack NM, etal. (1996) Mercuric ion reduction and resistance in transgenic Arabidopsis thaliana plants expressing a modified bacterial merA gene. Proceedings of the National Academy of Sciences of the United States of America 93: 3182 3187. Sandermann H (1992) Plant metabolism of xenobiotics. Trends in Biochemical Sciences 17:82 84. Strand SE, Newman L, Ruszaj M, etal. (1995) Removal oftrichloroethylene from aquifers using trees. In: Vidic RD and Pohland FG (eds.) Innovative Technologies for Site Remediation and Hazardous Waste Management, Proceedings of the National Conference Pittsburgh, July 26, pp. 605 612. Reston, VA: Environmental Engineering Division, American Society of Civil Engineers.